Every season has its own appeal, and this is particularly true here on the Crikvenica Riviera. The cold winter days are warmed up by the magical atmosphere of Advent events, the fantastic open-air New Year’s Eve party, cheerful carnival events and the romantic atmosphere of Valentine’s Day. In the springtime, nature reveals all its splendour, inviting you to enjoy the fresh air. In addition, there are some sweet surprises waiting for you in the form of Easter Cake, the Strawberry Festival or the Cherry Festival. The Crikvenica Bike Marathon marks the start of the marathon season. The carefree summer months bring events such as Melodies with the Taste of the Sea, traditional klape singing group concerts, and fish festivals. Other entertainment events dedicated to local traditions include (Sr)etno Selce, Tourism Day and Fishermen’s Week. Those interested in sport should not miss the ‘Jakovarska Vesla’ rowing competition and the Šilo-Crikvenica swimming marathon. A special atmosphere that will bring back childhood memories is waiting for you at the CrikvArt Street Performers Festival. To sweeten the end of the season, your hosts have prepared the Flowery-sweet days and an event for pets and their owners – Crikvenica 4 Pets. The warm colours of autumn are even more beautiful during St. Martin’s Day and the running marathon. 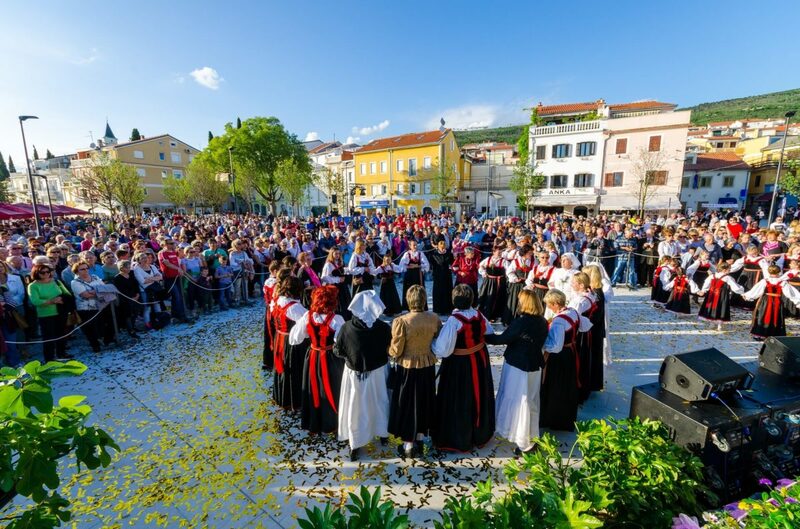 Finally, do not miss the chance to be with your hosts on the feast days dedicated to the patron saints of their hometowns: ‘Jelenina’, the feast of St. Helen, in Dramalj in May; the ‘Jakovlja’ feast of St. James in Jadranovo in July; Crikvenica Days in August; ‘Katarinina’, St. Catherine’s Day, in Selce in November.